When I first heard about the man-made earthquakes in Groningen I was struck by the strange word constellation: Earthquakes, a phenomenon usually associated with the forces of nature, but produced at the hands of humans. The man-made earthquakes have occurred in the northernmost province of the Netherlands over the last 32 years, due to gas extraction in the largest field for natural gas in Europe – the Groningen Gas Field. 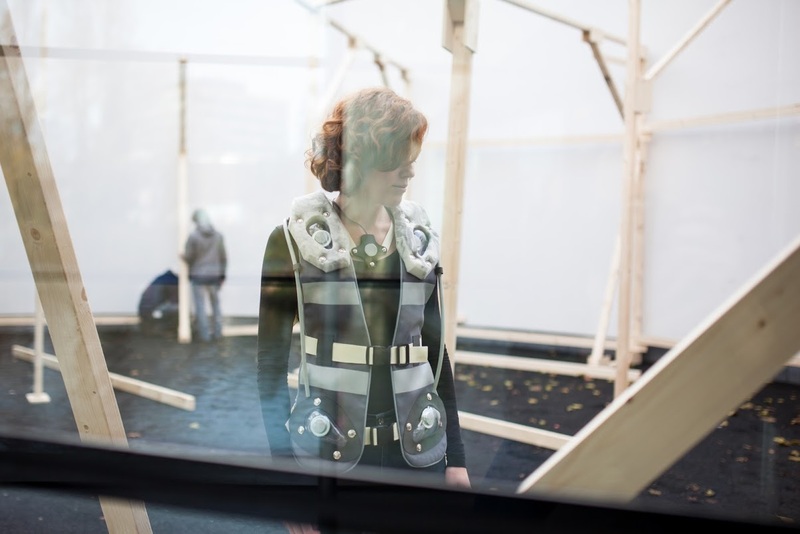 The Intimate Earthquake Archive aims to connect the digitized seismic activity with the sensing body. Visitors can explore the archive by positioning themselves among a series of radio-transmitting core samples. Each of them transmits the dataset of one of the 12 strongest man-made earthquakes recorded in Groningen. Wearable „interfaces“ act as receivers for these signals, producing a composition of tremors on the surface of the body – in the same way the seismic waves moved across the land. These vibratory compositions are created by artist Jonathan Reus, through direct manipulation of the archival datasets into sonic vibrations. The resulting compositions are intended to inspire „deep listening“ within the body. The Intimate Earthquake Archive is thus a kind of test ground for the visitor to attune herself to a future marked by man-made geological change.